Prevent Dryer fires! 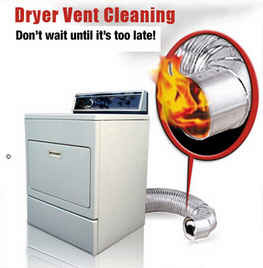 Get Annual Dryer Vent Cleaning / Inspection Services to know your dryer is SAFE and operating at Maximum Efficiency. Lint Buildup is a HUGE Fire Hazard! Prevent Fires Today with our Vent Cleaning & Inspection Services by Framingham Appliance Repair for safety’s sake! Residential, Apartment & Condominium Services are available. This entry was posted in Ashland Appliance Repair Service, Dryer Vent Cleaning, Framingham Appliance Repair Service, Holliston Appliance Repair Service, Hopkington Appliance Repair Service, Natick Appliance Repair Service, Sherborn Appliance Repair Service, Southboro Appliance Repair Service, Sudbury Appliance repair Service and tagged Dryer Efficiency, Dryer Fires, Fire Prevention, Vent Cleaning. Bookmark the permalink.